Bottom of the table Canterbury take on Clifton Robinsons on Saturday, aiming to secure their first win of the season in the final match before the winter break in the Investec Women’s Hockey League Premier Division. Despite their position, Canterbury’s form has been improving and they led against Surbiton last weekend before falling to a narrow 2-1 defeat. A win this weekend could see them close the gap to the rest of the teams in the bottom four to just one point, and give them hope of climbing up the table when the season resumes in February. “We took a lot of encouragement from our last performance,” said Canterbury official Gill Prince. “But not only from that – we are making improvements week-on-week and hope to continue this in Saturday’s game against Clifton Robinsons. “It is crucial to win the last match and keep pace with the other teams. It is important for our confidence to go into the Christmas break within touching-distance of the teams ahead of us. 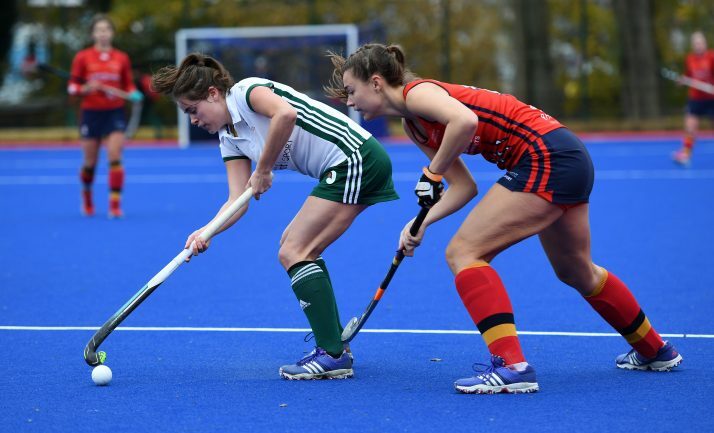 Elsewhere leaders Surbiton have a home game against Beeston, while second-placed Holcombe entertain the University of Birmingham as they try to keep pace with Surbiton. Second-bottom Bowdon Hightown have a home game against Buckingham, while East Grinstead face Slough in the other top flight match. In the Investec Women’s Conference West, runaway leaders Stourport will be aiming to make it nine league wins in a row when they go to Trojans, while second-placed Swansea City have a home game against bottom of the table Exe. Leaders Loughborough Students have an away game at Timperley in the Investec Women’s Conference North, while Leicester go to Ben Rhydding for a match that could see them go top if Loughborough drop points. And in the Investec Women’s Conference East third-placed Harleston Magpies host leaders Hampstead and Westminster, who are just three points ahead. Wimbledon are second in the East, and could go top if they beat visitors Southgate and other results go in their favour.